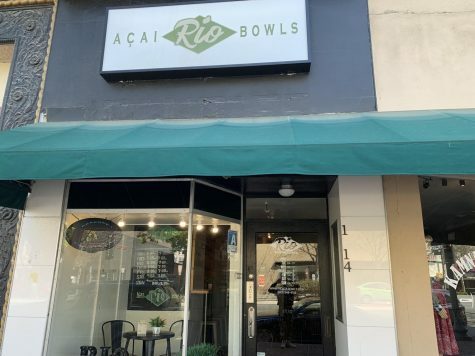 For those who are vegan and live in Bakersfield it can be quite difficult finding a place that we can eat out or congregate with fellow vegan friends. Vegan food has come a long way from just the typical and most accessible staple foods such as salads and tofu. Surely no one could have ever imagined a day would come when there would be American foods such as burgers reinvented for vegan consumption, that taste so much like animal flesh it would leave the everyday carnivore stumped. Like many cities the options for vegan cuisine is like trying to find a needle in a hay stack. Fortunately, with veganism becoming more popularized, there has been a decent pop up of local home grown vegan restaurants offering up everything from different varieties of nut butters, sustainable products, and really good vegan food of course. One of the notable resturants here in Bakersfield is The Hens Roost. 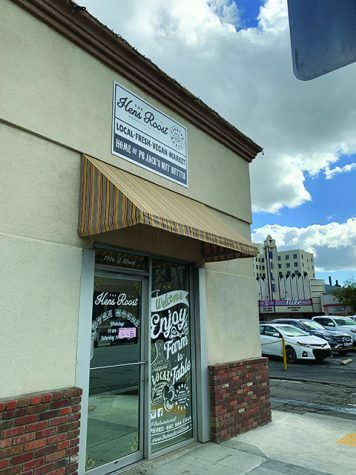 Located on G street in downtown Bakersfield The Hens Roost has been around since 2010 and is a local small owned business. The business itself is a break from chain restaurants today when local restaurants seem to be far and few and everyone is offering up their take on vegan food, gone wrong. With limited space, the restaurant could only sit so many people, but with adult and children menus it makes it an awesome place to take the family. The kids meals have vegan tacos to tofu nuggets, while the rest of the menu has their personalized version of a turkey melt called a tofurkey melt that’s made with vegan cheddar cheese and thin slices of tofurkey on sourdough bread. They offer up a broad range of patty options like their portobello burger or if you’re craving something that taste more like meat than the impossible or beyond burger would be the best option. A personal favorite is their western hen burger with your choice of patty. Any old customer would tell you the burger taste best with the impossible or beyond burger patty. The burger comes topped with fresh onion rings, vegan cheddar and house BBQ sauce. With the burgers and a kids menu they add to an already delicious list of food with their shakes that are made from their own kind of nut butters. While all the shakes are made with frozen bananas and almond milk they add their own spin of which ever flavored butter you have the taste for to the shake. Their P.B. Jack’s is their personalized line of butters which range from (P.B. Jacks O.G peanut butter), classic peanut butter, to the P.B. Jack’s coconut cashew butter which are all made in the restaurant with organic products, some that are grown locally as well. The Hens Roost seems to take a step forward for what is expected from a vegan restaurant then takes a step more with add ons like thai fries, and shakes. If one thing’s for sure Hens Roost proves that vegans can “pig” out like any other meat eater, minus the swine. Despite the lack of space, the food is great and family friendly and the hospitality is even better, while I’ve made plenty friends there. The Hens Roost is a testament that veganism has surely come a long way and so has Bakersfield. The Hens Roost located on G street in downtown Bakersfield.